Please join us in City Kitchen to welcome Pittsburgh chef & author Josephine Caminos Oria. Originally from Buenos Aires, Argentina, Josephine has built a business out of her love of her grandma's authentic cooking. 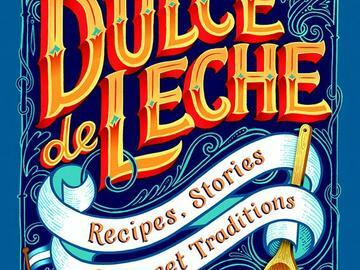 Her new cookbook and food memoir, "Dulce de Leche, Recipes, Stories & Sweet Tratidions" was published this year and we'd like to share it with you! A copy of the book is included in your ticket price, and Jospehine will be taking us all on a trip through her favorite family traditions. She will demonstrate recipes from the book and share sweet samples. No matter where you come from, there will always be one food that is a part of your life—the flavor of comfort, where just a taste represents home. Without question, the humble boiled milk and sugar jam known as dulce de leche is just such a cultural phenomenon in many countries, from Argentina and Chile to Mexico and Brazil. In Dulce de Leche, you’ll discover the sweet soul of real dulce de leche, learning how to make the traditional recipe as well as several variations. The taste is pure ambrosia—far superior to most store-bought brands, with a light yet creamy texture.Then cook your way through the day with your dulce de leche, from breakfast muffins, medialunas, and panqueques to cocktail-hour picadas and dinner entrees to pies, alfajores, and show-stopping layer cakes. Creamy and gently sweet, you’ll see how just a couple spoonfuls of dulce de leche enhances the flavor of a variety of foods: grains, fruits, vegetables, cheese, and even poultry. In fact, you might find it becomes a new family tradition.